Even though humanity was (and is) heading towards a precipice, not much has changed. People have continued to injure and ruin the very world in which they live, extracting and consuming its resources without thinking of the consequences. Pollution is worse than ever. For example, it was recently estimated that 500 billion plastic bags end up in the sea every year. 15 billion trees are lost each year. Human activity is also causing the extinction of many plant and animal species. Scientists claim that the last time so many species disappeared was 66 million years ago when a huge asteroid hit the Earth and killed all the dinosaurs. This time, we are the asteroid! Over the years something else has become apparent: not only are we making our planet dirtier, we’re also making it warmer. This will cause the climate to become unpredictable and dangerous. According to most scientists, global warming is the greatest threat humanity will face in the 21st century. Ecologists, though, have not given up. Earth Day has been celebrated every year since 1970, and in 1990 it became a global event. More and more people around the world are taking action to protect the environment. Even politicians are slowly responding to the pressure of scientists and concerned citizens. Last year, during Earth Day 2016, 175 countries signed the Paris Agreement, a commitment to fight global warming. (See our January 2016 article “COP 21 Trying to save planet Earth”.) This year, Earth Day was accompanied by another event: the March for Science. This was a series of rallies and marches held in more than 600 cities around the world aimed at reminding politicians, and people in general, of the importance of science. Science can tell us what we’re doing wrong, and it can help us find solutions to save the environment. Earth Day 2017 was celebrated in more than 200 countries. Festivals, rallies and all kinds of events encouraged people to be more environmentally friendly. Earth Day organizers stressed the importance of supporting politicians with a ‘green’ agenda, and they encouraged the development and use of green forms of energy, like solar and wind power. They also suggested some simple actions that everybody could take to help the environment, like planting a tree (or donating money to help someone else plant one for you), eating less meat, and stopping using disposable plastic. Education, they claim, should also play a part: a school is the perfect place in which to learn how to become more environmentally friendly. As the organizers of Earth Day write: “today’s students are tomorrow’s leaders.” This is a great responsibility but also a great opportunity to make the world a better place. the only ecological disaster of its kind. one of many such events. we can continue with business as usual. we are falling down a precipice. global warming is very dangerous. global warming is not as dangerous as pollution. polluting and heating the planet. was celebrated this year, for the first time. by politicians with a ‘green’ agenda. can teach the importance of ecology. 1. The politician’s ______ is the list of things he plans to do. 2. The workers got together in a ______ to protest against the government. 3. The edge of a steep cliff is called a ______. 4. The smoke from that factory ______ the air. 5. A ______ is a formal agreement. 6. ______ means to answer. 7. Scientists can prove their ______ with very detailed evidence. 8. I never know what she’ll do next. She’s ______. 9. ______ means to cause harm. 10. An ______ is a platform that has machinery that drills oil from underground. 3) Complete the sentences choosing the correct interrogative pronoun (who, whom, whose, which, what, where, when, why, how). 1. Who/Whom helped organize the first Earth Day? 2. 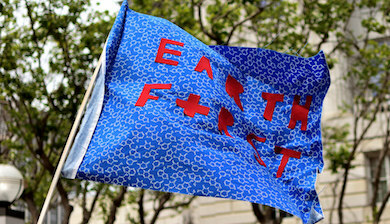 When/What and where/how was the first Earth Day held? 3. Where/Why do scientists claim that the environment is in danger? 4. How/Where was the oil rig that caused the oil spill? Whose/Who fault was it? 5. How/Which successful was the March for Science? 6. Who/What was the message that the event tried to convey? 7. Which/Whom animals are risking extinction? 8. Who/Whom are you going to invite to the rally? 9. Who/What caused the extinction of the dinosaurs? 10. What/Where is the Paris Agreement and when/why is it important? [post_excerpt] => On April 22, Earth Day was celebrated in more than 200 countries around the world. This yearly event was first held in the US in 1970. Earth Day wants to promote the protection of the environment. Its organizers say that we all have to act, and act now. We stand on the edge of environmental disaster and what is at stake is our very survival. [post_content] => Last month, the most famous family in the world was probably that of Robert Kelly, an American professor of Political Science at Pusan National University in South Korea. On 10 March Kelly was speaking on Skype from his home office, giving a live interview on BBC World News. The BBC was asking him about the dramatic political situation in Korea when, all of a sudden, a different kind of drama began. Kelly’s 4-year-old daughter Marion gatecrashed his home office. “I think one of your children just walked in,” said the interviewer. Kelly tried to push his daughter away, but into the room strolled his 9-month-old son James. A moment later, Kelly’s Korean wife Jung-a Kim ran in and frantically dragged the two little intruders out of the office. Kelly, clearly embarrassed, apologized and finished his interview. [post_excerpt] => Last month, the most famous family in the world was probably that of Robert Kelly, a previously unknown professor of a South Korean university. Kelly and his family were the protagonists of one of the most viral TV fails in history, viewed around the world million of times. Interestingly, their family blooper raised not only laughs, but also some serious social debate about racial stereotypes. Today we seem to be on the verge of confirming Churchill’s hypothesis. The first step has been to find ‘exoplanets’, planets outside the solar system. The first confirmed exoplanet was found in 1992. Since then, thanks to powerful new telescopes, more than 3000 exoplanets have been discovered. It is too early to say if there is life on any of them. Surely, not all of them can harbour life, or at least life as we know it. As Churchill wrote, quite correctly, life can exist “between a few degrees of frost and the boiling point of water.” Some exoplanets are too hot, while others are too cold. An exoplanet needs to orbit in the so-called ‘Goldilocks zone’, a habitable zone around a star where the conditions are just right for life to exist. Scientists now estimate that our galaxy, the Milky Way, might contain between 11 and 40 billion habitable Earth-sized planets. Quite a change from when they thought planets were extremely rare! One of the most exciting discoveries was announced on 22nd February. “New record!” tweeted Nasa. “We’ve found 7 Earth-sized planets around a single star outside our solar system; 3 in habitable zone.” The star is called Trappist-1, and it is 39 light-years away. Although only three of its planets are in the Goldilocks zone, all seven could be habitable if they have the right atmospheric conditions. This means that all seven could harbour life. In the coming months, the Trappist-1 star system will be studied in greater detail using space telescopes. These high-tech instruments will study the planets’ atmospheres and find out what chemicals they contain. Astronomer Michael Gillon, the leader of the international team that discovered the seven planets, says that if certain chemicals are found in the right proportions, then it “would tell us that there is life with 99% confidence.” The time for speculations seems to be over. The discovery of life in the universe is probably just around the corner. 4) Read about the 7 Earth-sized planets orbiting Trappist-1 and get a  free poster! adapted “The War of the Worlds” into a radio drama. we were probably alone in the universe. the universe was full of life. the universe was full of planets. we could not possibly be the highest form of life in the universe. we had to be the highest form of life in the universe. we could be the highest form of life in the universe. with the right conditions for life to develop. orbiting a star other than our sun. still had to be discovered. was found in the Goldylock zone. are approximately as large as the Earth. are in the habitable zone. there’s a 99% chance that there’s life in the universe. there’s life in the Trappist-1 star system. a specific atmosphere points to the presence of life. 1. You can’t say that this house is ______ (habitable): it has no roof! 2. A ______ (conceited) person is vain and egotistic. 3. An unproven theory is called a ______ (hypothesis). 4. She has complete ______ (mastery) of English, but she knows very little French. 5. He wrote 30 novels. He is a very ______ (prolific) writer. 6. The art of public speaking is called ______ (oratory). 7. ______ ( To harbour) means to provide a safe place for something. 8. 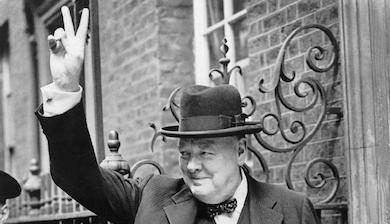 Many historians ______ (exalt) Churchill, claiming he was the best British political figure. 9. Scientists ______ (estimate) that only a very small percentage of exoplanets is habitable. 10. H.G. Wells was an ______ (influential) writer: he is considered the father of science fiction. 3) Complete the sentences choosing the correct preposition of time. 1. Winston Churchill was born in/at November. 2. Churchill made many inspiring speeches during/since the war. 3. Churchill was Prime Minister for the second time in/from 1951 to/by 1955. 4. “The War of the Worlds” was published on/in 1897. 5. “The War of the Worlds” radio drama aired in/on Halloween: it aired at/from 8 pm on/in 31st October 1938. 6. The discovery of the 7 planets was made public on/at Wednesday, 22nd February. 7. “We will discover life in the universe by/since the end of the decade,” said the scientist. 8. My friends arrived in/on time. 9. From/Since ancient times, humans have dreamed of reaching the stars. 10. I love watching the sky at/during night at/in summer. [post_title] => Are we alone in the Universe? [post_excerpt] => Winston Churchill was an influential politician, but also a prolific writer with an interest in science. A lost and unpublished article by Churchill was recently found in a museum in Missouri. It’s titled “Are We Alone in the Universe?” and the timing of its discovery seemed perfect: astronomers might be on the verge of finally answering that question. Just five days into 2017, London exceeded its annual air pollution limit. This means that in those five days dangerous quantities of pollutants were found in London’s air more times than is legally permitted for the whole year. Besides damaging the environment, air pollution causes several health problems. In the short term it produces conditions such as coughing and asthma, and in the long term it can lead to lung damage and serious diseases. Approximately 9,000 Londoners a year die prematurely because of air pollution. MPs called the situation a “public health emergency” and the new mayor of London, Sadiq Khan, promised to take action. He wants to make London one of the world’s greenest cities. But can he truly solve a centuries-old problem? The problem of London’s polluted air goes as far back as the thirteenth century. At the time, the problem was coal smoke from chimneys: Londoners burned coal in their homes to cook and keep warm. This problem worsened as London became more populous. In 1661, writer John Evelyn said that the burning of coal had turned London into ‘Hell upon Earth’. In the nineteenth century, industries began pumping even more smoke into the air. This smoke mixed with the fogs of the Thames Valley and formed what became famously – or infamously – known as smog. London’s smog was full of soot and poisonous gases. This smog was so typical of London that it was called ‘London particular’, and it was so thick that it was also called ‘pea soup’. Attempts were made to pass laws to solve the situation, but without success. Then disaster struck in 1952. In December 1952, due to special weather conditions, Londoners were trapped in the worst air-pollution event in the history of the UK. The Great Smog, or the Great Killer Fog, was so bad that flights were grounded, traffic restricted, and various events had to be cancelled. Firemen had to walk in front of their vehicles to see where they were going. The smog even seeped indoors. A performance of La Traviata at Sadler’s Wells was suspended because the audience couldn’t see the stage. The Great Smog lasted less than a week, but it killed 12,000 people. This tragedy made health and environmental concerns so urgent that parliament was forced to do something. In 1956 it passed the Clean Air Act, which introduced measures to clampdown on pollutants that caused smog. London’s air began to clear up, but over the years the old, visible pollutants, such as coal smoke, were replaced by new, invisible ones. Some people think that politicians are once again taking too much time to solve the problem. A group of artists, photographers and 16 to 25-year-old volunteers decided to take action themselves, and they set up the Clean Air Now campaign. 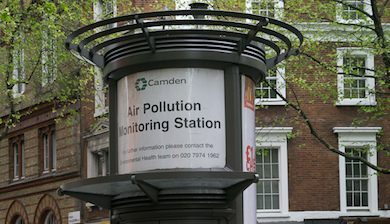 Over the course of the last few months, they have used large posters, billboards and street art to raise awareness about the illegal levels of London’s air pollution. They hung their posters and art in some of London’s most polluted areas. “The idea was to take billboard space for something other than advertising,” said one of the organizers. “Billboards, due to their size and scale, are a great way to talk about this issue – they hover over London just like the pollution itself.” Although today’s pollutants can’t be seen, 20 x 12-foot posters can! The activists hope that their action will support the mayor’s plan to clean up London’s air. both people and the environment. London is one of the world’s greenest cities. London’s air is a public health emergency. he will do something against air pollution. a city with clean air. are two different kinds of smog. both refer to the same thing. are a mix of soot and poisonous gases. produced a very thick smog. were not produced by human activity. want to tell people about the problem of air pollution. use billboards to advertise commercial products. think that politicians are doing a good job reducing air pollution. because they hover over London just like the air pollution. because they can be found in London’s most polluted areas. because they are huge and easy to see. hope to help the mayor. 1. Yesterday, a police helicopter ______ over the street demonstration. 2. This roof is not waterproof: water is ______ in and dripping all over the place! 3. You’re driving too fast! You’re ______ the speed limit! 4. The most ______ countries in the world are China and India. 5. ______ is an abbreviation that stands for Member of Parliament. 6. That’s it young man! No more coming home late! You’re ______ for a week! 7. Today, advertisements are everywhere. Look at all the ______ along this road. 8. The police promised ______ on crime and make the city safe again. 9. I cleaned the chimney and now look at me: I’m black with ______. 10. The ______ is the head of the government of a city. 3) Complete the sentences choosing the correct future form. 1. Hurry up. Your flight for London will leave/leaves in one hour. 2. I’m sure you will have/have a wonderful time in London. 3. Shall we join/Are we joining the Clean Air Now campaign? I think we should. 4. The demonstration is going to start/starts at 3 pm – don’t be late! 5. It’s very cloudy today. Shall I get/Will I get my umbrella? 6. The pollution problem is so great that it is going to take/shall take ages to solve it. 7. Who knows if the mayor will succeed/is going to succeed in making London a green city? 8. I am meeting/meet the mayor tomorrow to tell him about our campaign. 9. She is coming/shall come tomorrow. We arranged to meet at the train station. 10. London’s air pollution is getting worse and worse. We are never breathing/are never going to breathe clean air in this city! [post_excerpt] => Just five days into 2017, London exceeded its annual air pollution limit. London’s polluted air is a centuries-old problem. A group of young activists believe that too little has been done for too long. With their campaign Clean Air Now they hope to raise awareness of the problem and to pressure politicians to improve, once and for all, London’s air quality. [post_excerpt] => On 20 January the presidency of Barack Obama, the 44th President of the United States, comes to an end. His successor is businessman, television personality and billionaire Donald Trump. Few took him seriously when he decided to run for President, but his campaign proved very successful. 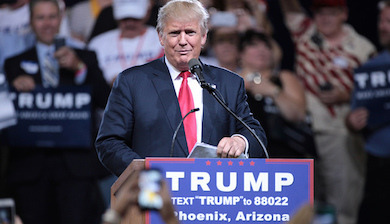 Learn more about the American general elections and President-elect Donald Trump. Back in the 19th century, the Swedish scientist and businessman Alfred Nobel invented dynamite and other explosives. A French newspaper called him a “merchant of death” who “became rich by finding ways to kill more people faster than ever before”. Nobel did not want to be remembered like this, so he decided to leave his fortune to people who make the world a better place. To do so, he created the Nobel Prize. Each year the Prize is awarded to eminent people in the fields of physics, chemistry, medicine, literature and peace. Today the Nobel Prize is considered the most prestigious award in these fields. Authors who write in English have dominated the Literature Prize with 28 winners out of 113 (plus 3 who wrote both in English and in another language). Among them are 11 American, 10 British and 4 Irish writers. The winners are chosen by the members of the Swedish Academy, helped by the advice of scholars from around the world. Not everybody agrees with the choices of the Academy, but no choice was more controversial than this year’s. This year’s Nobel Prize in Literature was awarded not to a novelist, nor to a poet, nor to a playwright, but, for the first time, to a singer-songwriter: the American music legend Bob Dylan. The Academy chose him because he created “new poetic expressions within the great American song tradition.” Many writers and critics around the world praised the decision. Others agreed that it was time for an American writer to win the Prize – the last one was Tony Morrison who won it 23 years ago – but they believed that novelists like Philip Roth or Don DeLillo were far more deserving than Bob Dylan. Some claimed that songs belong to a different art form: they are not literature. 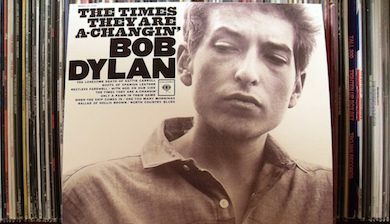 Others said that even if one considers songs literature, Bob Dylan’s lyrics did not deserve a Nobel Prize. The heated debate continued, and while the world was discussing him, Bob Dylan said nothing. Bob Dylan did not comment on winning the Prize. Many wondered: was he going to refuse it? For sure, he was ignoring it. The Swedish Academy tried to get in touch with him, but it gave up after more than ten days of failed attempts. One of its members suggested that Dylan was being “impolite and arrogant.” A few more days passed and finally Dylan called the Academy and said that winning the Prize left him “speechless.” He accepted the Prize but he wasn’t sure if he could attend the Nobel ceremony on 10 December. Again the world wondered: was he being rude a second time? The days passed and finally Dylan said that he was not going to the Nobel ceremony due to “pre-existing commitments.” What could be more important than receiving from the hands of the King of Sweden the greatest literary prize in the world? The critics of Bob Dylan’s attitude probably did not consider that not all writers approve of the Nobel Prize. In 1925 Irish playwright George Bernard Shaw almost refused it. He wittily said: “I can forgive Alfred Nobel for having invented dynamite, but only a fiend in human form could have invented the Nobel Prize.” He probably considered prizes fit for competitions, not for art forms such as literature. In 1964, French writer Jean-Paul Sartre won the Prize but refused it. He claimed that a writer should be free and should not be “institutionalised.” Bob Dylan differs from Shaw and Sartre because he accepted the Prize and seems to consider it important. His attitude, though, seems to suggest that he also believes, like Shaw and Sartre, that artistic freedom is more important. Writers write for personal reasons or to communicate with their readers, not to win prizes. If they win them, that’s fine, but it’s no big deal. Even if it is the Nobel Prize in Literature. he created the Nobel Prize. Dylan answered that he was busy. Dylan said that he was not interested in the Prize. said he will accept the Nobel Prize on 10 December. dynamite was a worse invention than the Nobel Prize. the Nobel Prize was a worse invention than dynamite. the importance of literary prizes. the importance of the Nobel Prize. 1. The surprise made her so happy that it left her ______. 2. Shaw was full of ______: he could always make funny and intelligent remarks. 3. The words of a song are called ______. 4. When he died, the rich businessman left a ______ to his children. 5. A ______ is a large open space, but it can also mean a specific area or subject of human activity. 6. A ______ is a devilish, evil person. 7. If you promise to do something, you are making a ______. 8. Einstein was an ______ physicist: he was among the best scientists of his age. 9. A person who works buying and selling goods is called a ______. 10. That professor is a Latin ______: he’s been studying that ancient language all his life. 1. Alfred Nobel was called a “merchant of death” ______ he invented dynamite. 2. Alfred Nobel was so shocked by the criticism ______ he decided to become a philanthropist. 3. ______ the Academy announced the winner, the journalists let out a gasp of surprise. 4. ______ he is a songwriter, Bob Dylan won the Nobel Prize in Literature. 5. ______ Bob Dylan remained silent, the world talked about him. 6. Many critics agreed with the Academy’s choice, ______ many others did not. 7. A member of the Academy said that Bob Dylan was rude  ______ he did not answer the Academy’s calls. 8. Bob Dylan said he would go to the Ceremony ______ he had previous commitments. 9. “______ I have nothing else to do, I will come,” he said. 10. Bob Dylan won the Nobel Prize, ______ Philip Roth did not. [post_excerpt] => On 13 October the Swedish Academy announced the winner of this year’s Nobel Prize in Literature. The Nobel Prize is the most important literary award in the world and this year’s winner was the most controversial ever. Not only because he was the first songwriter to win the Prize, but also because for weeks nobody knew if he was going to accept it. Learn more about the Nobel Prize in Literature and this year’s winner: American rock legend Bob Dylan. 7. The latest  ______ in fashion is purple jeans. Everybody wants them. [post_excerpt] => This year’s Halloween was a little different: lots of people didn’t dress up as monsters, but as scary clowns. The scary clown craze began months ago and it spread quickly across the US and the UK. Dozens of scary clowns appeared out of nowhere to frighten people. Learn more about this strange phenomenon and about the ancient art of clowning. [post_excerpt] => History books tell us that the Roman Londinium was a provincial town at the very edge of the known world, very different from the international London of today. A recent archaeological find disagrees, promising to rewrite history, not just of London, but of the whole ancient world. The 2016 Summer Olympics in Rio de Janeiro finished with no surprises at the very top of the medal table: the United States came 1st with 46 gold medals. The US has come 1st 5 times in the last 6 Summer Olympics. Its most famous athlete is probably the swimmer Michael Phelps who won 5 golds and 1 silver in Rio. That’s one person winning more medals than some entire countries – only 18 nations won more golds than Phelps did by himself! Other ‘usual suspects’ such as China, Russia, Germany, France and Italy were among the top 10 nations in the medals table. But there was one big surprise in 2nd place: the United Kingdom. The UK won 27 gold medals in a wide range of disciplines, from athletics to cycling, from rowing to gymnastics. This feat is incredible if one thinks of the UK’s Olympic past. Twenty years ago, at the 1996 Atlanta Olympic Games, the UK won only 1 gold medal, finishing 36th in the medal table. This was the UK’s worst Olympics after many bad ones. Never, since World War II, had the UK won more than 6 golds. After hitting rock-bottom in 1996, something changed: the UK started climbing up the medal table. It came 10th in Sydney 2000, 10th in Athens 2004 and 4th in Beijing 2008. In 2012 it hosted the Olympics in London and came 3rd. It is normal for a nation to do particularly well when hosting the Games, but the UK was the first nation to improve again in the following Olympics – Rio 2016 – where it came 2nd. The UK can now consider itself a “superpower” of sports. But how did this amazing transformation happen? After the UK’s horrible performance in Atlanta, Prime Minister John Major decided that sports needed more funding and a different mentality. He used the money the government earned from lotteries to finance sports. 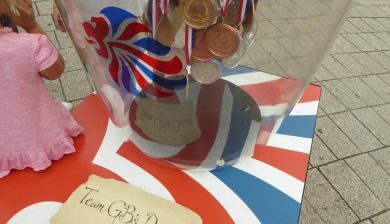 A new approach was also adopted, called the ‘no compromise approach’: the UK would invest money and energies only in those sports that produced medals. “Why do we invest in medal success?” said Liz Nicholl, who works for UK Sport, the agency that funds sport across the UK. “We invest in medal success to create a proud, ambitious, active, healthy nation.” But is this really happening? Is the UK a prouder, more ambitious, more active and healthier nation than before? Do people exercise more if they see top British athletes winning medals at the Olympics? Back in the 1960s and 70s, when the UK won very few medals, the Sports Council promoted the creation and expansion of local leisure centres. There, ordinary people could play sports without Olympic competition in mind. Today many of these centres are in financial trouble; they are closing or they are being converted into expensive, private facilities. This is partly the result of the ‘no compromise approach’: if the sport is not producing medals, it will get no funding. History proves that people exercise more if they have access to facilities, not if top athletes win Olympic medals. Indeed, the number of British people participating in sports has fallen since 2012. The UK faces a dilemma: is it better to have elite athletes win gold medals, or is it better to promote sports for all? Maybe both aims can be achieved. UK Sport has recently softened its ‘no compromise approach’ and money will be used to fund also those sports that do not produce medals. Hopefully the next Olympics – Tokyo 2020 – will see both successful British athletes, and a healthier nation, back home, cheering for them. - These interesting graphs give you another break-down of Olympic medals. Check out the various sports. Is there a sport in which Italy dominates? - Did you know these interesting facts about the Olympics? 1) Read the article and complete the sentences with the correct option. more British people will exercise. British people will buy more lottery tickets. more British people will watch the Olympics. helped some sports, but not others. the same number of people play sports. 1. Prices ______: they can’t get any cheaper. 2. If you invite your friends to dinner, you are the ______ and your friends are the guests. 3. Who ate all the chocolate biscuits? The ______ are Jack and Jill: they love chocolate. 4. We came to the stadium ______ our team – we want them to win! 5. A ______ is an extraordinary, very difficult act. 6. You are too critical in this letter. Rewrite it, and try ______ your language. 7. A school is an educational ______. 8. You can’t work all day! You need some ______ too. 9. I have a great idea for a startup, but I have no money. I need somebody ______ it. 10. A ______ is a list of countries ordered by the numbers of medals won. 3)  Complete the table writing the numbers, first as cardinal numbers, then as ordinal numbers. [post_excerpt] => Twenty years ago, at the 1996 Atlanta Olympic Games, the UK won only 1 gold medal, finishing 36th in the medal table. After hitting rock-bottom, something changed: the UK started a dramatic climb to the top. This summer, at the Olympics in Rio it came 2nd with 27 gold medals. How did this amazing transformation happen? Learn the secrets behind the world’s new sporting superpower. Elizabeth II, Queen of the United Kingdom, celebrated her birthday on April 21. She will celebrate it again on June 11. Strange but true: the Queen has two birthdays – her real one, in April, and an official one, in June. For centuries English kings and queens have had this privilege. Their excuse? British weather. It all began in 1748 with King George II. His birthday was in November, not a good month for outdoor parties. So George decided to celebrate his birthday in late spring, combining his celebration with a military parade known as Trooping the Colour. Having a double royal birthday became a tradition. This June 11 will be quite special: the Queen will celebrate her 90th birthday, while her husband, Prince Philip, will turn 95 the day before. At 90 and 95, the British royal couple has broken quite a few records. Last year Elizabeth II became the UK’s longest-reigning monarch, beating the record held by her great-great-grandmother, Queen Victoria. 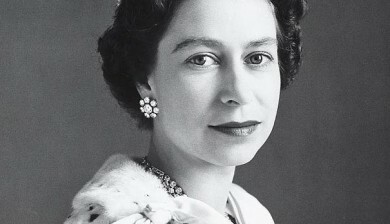 Elizabeth has been Queen for more than 64 years now. This also makes her the world’s longest-reigning female monarch – no other queen has reigned longer than she has. (She still has a long way to go to beat the male record: king Sobhuza II of Swaziland reigned for an incredible 84 years and 254 days!) Elizabeth II holds another record: the longest royal marriage in history. She has been married for 68 years. Obviously, she shares this record with her husband, Prince Philip, and the Prince holds another record of his own: he is the oldest-ever male member of the British royal family. During her record reign, the Queen has kept very busy. She is always meeting people, attending ceremonies, receptions, audiences, etc. Last year, she had 306 engagements in the UK and 35 abroad. That’s almost one a day. Over the years she has attended something like 25,000 events of all kinds! She has awarded more than 400,000 honours and has held more than 100 state banquets. She is the patron of more than 600 organizations and charities. Apparently, she once said: “I have to be seen to be believed,” and, indeed, she has shown herself quite a lot! Her work ethic, dedication and continuous public presence have made her very popular. For her official birthday on June 11, 10,000 guests have been invited to a giant street party and picnic in front of Buckingham Palace. And big screens will be placed in other parts of London to broadcast the event. That’s one incredible birthday party! Not everybody, though, wants to celebrate. Many do not like the Queen, or more generally, royalty. A hundred years ago, the English writer H. G. Wells said: “the time has come to rid ourselves of the ancient trappings of throne and sceptre.” Back then, there were 22 monarchies in Europe – now there are only 12. Today we are used to electing our leaders, but nobody ever elected their king or queen. Why should they live in castles and have lots of privileges (like the Queen having two birthdays)? Daniel Radcliffe, the actor who played Harry Potter, considers the royals a “symbol of class division.” The influential English singer and songwriter Morrisey (who released with The Smiths an album called ‘The Queen is Dead’) said: “the full meaning of the Monarchy is, like the Queen herself, a complete mystery to most people.” Yet, whether they understand it or not, the British Monarchy is not going away anytime soon. According to recent surveys, between 70 and 80% of Britons want the monarchy to continue. So, come June 11, for the second time this year, most Britons will wish Happy 90th Birthday to Queen Elizabeth II. all kings and queens around the world do. it’s part of a British tradition. her 90th birthday is a special occasion. the name of the Queen’s birthday celebrations. a military parade invented by George II. a military parade held on the day of the Queen’s official birthday. a supporter of the British crown. an expert in the ancient trappings of royalty. fewer monarchies than a hundred years ago. more monarchies than a hundred years ago. 2) Complete the sentences with the following words. Use the plural for nouns and conjugate the verbs if necessary. 1. A ______________ is a march or a public walk, usually done by military troops, or for special occasions such as a carnival or Thanksgiving. 2. The job of kings and queens is ______________, but their power, today, can be very limited. 3. Lorenzo il Magnifico was a famous ______________ of the arts: he gave support and money to painters and other artists. 4. An ______________ can be a promise of marriage, but it can also be an event or an appointment, like a meeting or a special dinner. 5. Televisions and radios ______________ programmes. 6. Traditionally, a king wears a crown on his head and holds a ______________ in his hand. 7. A big house, an expensive car and fashionable clothes are the ______________ of success. 8. The ______________ asked the students of the school what their favourite subject was. 33% said it was English. 9. Usain Bolt is the fastest man alive. He holds both the 100 metres and 200 metres world ______________. 10. I am against some people having ______________! I think everybody should have equal rights! 3) Complete the sentences using the verbs provided. In one instance use the past simple, in the other the present perfect. 1. The Queen ______________ (to marry) Prince Philip in 1952. They ______________ (to be) married for 65 years. 2. Elizabeth II ______________ (to become) Queen 64 years ago. She ______________ (to be) Queen since 1952. 3. The Queen ______________ (to break) many records. She ______________ (to break) the record of longest-reigning monarch in 2015. 4. Queen Victoria ______________ (to rule) for 63 years. So far, Queen Elizabeth II ______________ (to rule) for 64 years. 5. The Queen ______________ (to be) the patron of my charity for many years. She even ______________ (to invite) me to Buckingham Palace once. 6. The Queen ______________ (to meet) the British prime minister last week. During her long reign, she ______________ (to meet) twelve prime ministers. 7. John ______________ (to see) the Queen at a ceremony in 2013. Lucy, however ____ never ____ (to see) her. 8. The Queen ______________ (to award) a medal to that man. It was a very special occasion for him, but for her it probably wasn’t: she ______________ (to award) thousands of honours since she became Queen. 9. ____ you ever _______ (to visit) Buckingham Palace? I ______________ (to visit) it last year. 10. Morrisey ______________ (to criticize) the monarchy in his 1986 album ‘The Queen is Dead’. He ______________ (to criticize) the monarchy for decades. [post_title] => Why does the Queen have two birthdays? [post_excerpt] => Strange but true: Queen Elizabeth II has two birthdays and the reason is… British weather! Find out about this strange, century-old tradition, and learn more about an extraordinary and record-breaking Queen. On April 22, Earth Day was celebrated in more than 200 countries around the world. This yearly event was first held in the US in 1970. Earth Day wants to promote the protection of the environment. Its organizers say that we all have to act, and act now. We stand on the edge of environmental disaster and what is at stake is our very survival. 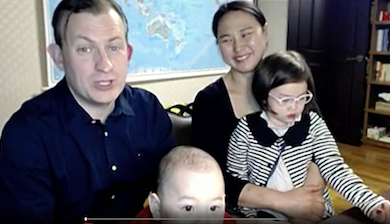 Last month, the most famous family in the world was probably that of Robert Kelly, a previously unknown professor of a South Korean university. Kelly and his family were the protagonists of one of the most viral TV fails in history, viewed around the world million of times. Interestingly, their family blooper raised not only laughs, but also some serious social debate about racial stereotypes. On 20 January the presidency of Barack Obama, the 44th President of the United States, comes to an end. His successor is businessman, television personality and billionaire Donald Trump. Few took him seriously when he decided to run for President, but his campaign proved very successful. Learn more about the American general elections and President-elect Donald Trump. On 13 October the Swedish Academy announced the winner of this year’s Nobel Prize in Literature. The Nobel Prize is the most important literary award in the world and this year’s winner was the most controversial ever. Not only because he was the first songwriter to win the Prize, but also because for weeks nobody knew if he was going to accept it. Learn more about the Nobel Prize in Literature and this year’s winner: American rock legend Bob Dylan. This year’s Halloween was a little different: lots of people didn’t dress up as monsters, but as scary clowns. The scary clown craze began months ago and it spread quickly across the US and the UK. 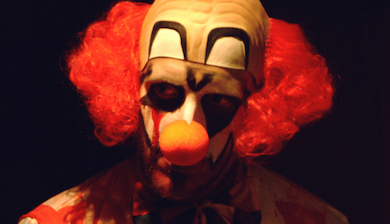 Dozens of scary clowns appeared out of nowhere to frighten people. Learn more about this strange phenomenon and about the ancient art of clowning. 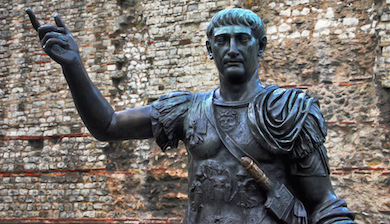 History books tell us that the Roman Londinium was a provincial town at the very edge of the known world, very different from the international London of today. A recent archaeological find disagrees, promising to rewrite history, not just of London, but of the whole ancient world. Twenty years ago, at the 1996 Atlanta Olympic Games, the UK won only 1 gold medal, finishing 36th in the medal table. After hitting rock-bottom, something changed: the UK started a dramatic climb to the top. This summer, at the Olympics in Rio it came 2nd with 27 gold medals. How did this amazing transformation happen? Learn the secrets behind the world’s new sporting superpower.